Membership of the Association is open to any qualified worker in a discipline relevant to psychopharmacology. Existing members include pharmacologists, psychiatrists, psychologists, neurobiologists and pharmacists. Full Membership (£100): Applicants are eligible for Full Membership if they can demonstrate involvement in areas relevant to psychopharmacology by, for example, qualifications, publications or research activity. Early Career Membership (£50): Designed to support early career scientists, such as post-doctorates, as well as clinical psychologist trainees and medical doctors in clinical training posts or clinical junior training fellowships (with PhD awarded). Those with university posts which are below the status of Lecturer, such as research assistant or research associate shall also be considered. Early Career Membership is limited to a maximum 6-year term or until they attain a change in status to Lecturer or completion of clinical training, whichever is earliest. Training Membership (£20): BAP aims to support professionals training in psychopharmacology and neuroscience particularly those registered for a degree and at the start of their career. The Association recognises that such individuals can have relatively modest incomes. BAP does not wish financial considerations to prevent an individual from having a full and active engagement with the Association. Consequently, BAP offers the categories of (i) Training Membership and (ii) Student Registration for the Summer Meeting. Both Training Membership and Student Registration are only available to those with a low income and normally registered for a medical degree. If you feel there are special issues in your case, please contact the BAP Office for advice. Training Membership is limited to a maximum 5-year term or until the Member is employed in a full-time position, whichever is earliest. 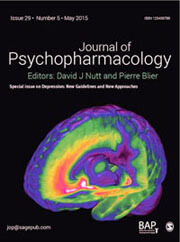 FREE subscription and access to the Journal of Psychopharmacology (published monthly online). Reduced registration fees for the annual Summer Meeting. Half price subscription to the Online CPD Resource. Eligibility for prizes and awards. Student bursaries for the BAP Summer Meeting and international conferences. Reduced registration fees for selected partner association events. Voting for BAP Officers and Council (full members only). Being part of one of the largest national psychopharmacology associations in the world.